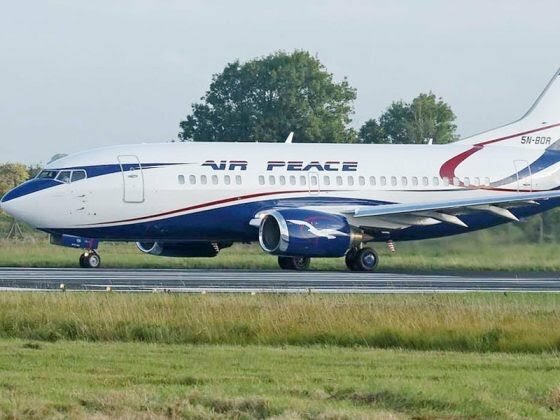 Nigerian carrier, Air Peace has deployed a Boeing 737 aircraft to service its Asaba operations to meet passenger demand on the route. The airline’s Corporate Communications Manager, Mr Chris Iwarah, who made the disclosure on Wednesday in Lagos, said the B737 aircraft would support the airline’s 50-seater Embraer 145 jets, which had been servicing the carrier’s Lagos-Asaba-Lagos and Abuja-Asaba-Abuja routes. He said the deployment of a B737 aircraft on the route would afford air travellers the advantage of a bigger space. “We relaunched our Lagos-Asaba operations and added Abuja to the route on Oct. 8, 2018. We promised then that we will deliver nothing but the best of flight services. “Barely five months since we returned to the Asaba route, we have demonstrated beyond doubt that we are in the airline business to make a difference. “In five months, our flights have brought relief to leisure and business travellers on the Lagos-Asaba-Lagos and Abuja-Asaba-Abuja routes. “We have been inundated with requests to increase the capacity of our aircraft on the Asaba route,” Iwarah said in a statement. According to him, as a customer-centric airline, Air Peace has yielded to the demands of the flying public by deploying the B737 aircraft on the route in addition to the 50-seater Embraer jets currently in use. He said customers could now take more luggage with them and enjoy the comfort of a bigger space, stressing that the airline was committed to their safety and comfort.